The first European round of the Motul Superbike World Championship (WorldSBK) has been run and won, but still, there’s been no stopping Ducati signing Alvaro Bautista as he remains unbeaten in 2019. This is Cycleview on CycleOnline.com.au. It sounds kinda funny referring to Bautista as a rookie, but sure enough that’s precisely what he is regardless of being so experienced in grand prix competition. At 34, we knew the Spaniard was hugely capable, but I don’t think many would have tipped he’d be this dominant upon switching to production racing. Can anybody halt him? Will this strengthen or damage WorldSBK? How much of his success comes down to that spectacular Panigale V4? Time will tell. What we do know right now is that Jonathan Rea’s run as a four-time world champion has become a whole lot harder this season and, for that, we’re intrigued as much as you likely are. 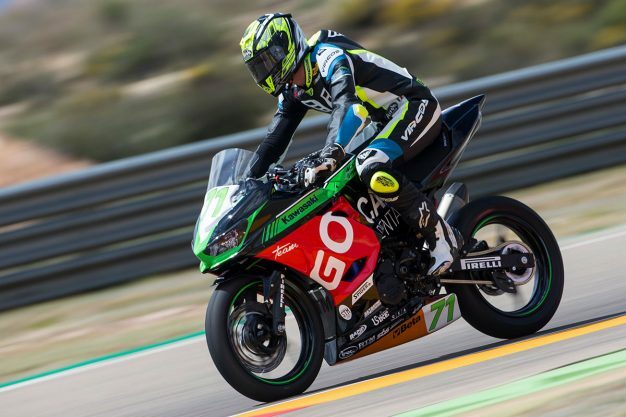 Moving through the ranks and into the World Supersport 300 division, it took off for the first time in 2019 upon the series’ arrival in Europe and it was neat to see a few young Aussies trying their hand in the world championship feeder class. We became accustomed to seeing Tom Edwards in the mix last year and we’re sure he will gain strength as the season goes on after finishing 19th at Aragon. 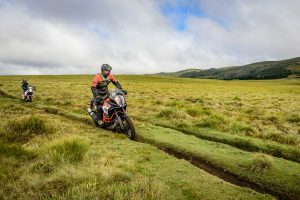 Joining him for this year is Tom Bramich, who captured last year’s Australian title in the class, and he wound up 24th at the opener – both riding Kawasakis. Young Jack Hyde didn’t qualify, but he’s well-credentialed and will be better soon enough. As difficult as it’s proven to make that step into World Superbike or World Supersport for Australians over the more recent years, it’s refreshing to see these Aussies gain opportunities in WorldSSP300 and hopefully it eventually results in the country’s emerging talent climbing through the ranks into the top tier. They’re certainly capable of it. We’re in for a busy weekend as both WorldSBK and MotoGP take place, making for a double-header of sorts in world championship motorcycle racing. 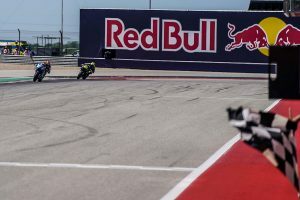 It’s back-to-back rounds for WorldSBK, visiting Aragon in Spain last weekend, while they now head to Assen in The Netherlands for the fourth stop of the tour. It’s unbelievable that Alvaro Bautista (Aruba.it Racing – Ducati) is still undefeated in his rookie season – everything just seems to be working for him right now, especially that all-new Panigale V4 R. He simply can’t be touched, and it’s going to be interesting to see if someone can put his winning streak to an end this weekend – but with his current form, it doesn’t look likely. Four-time defending champion Jonathan Rea (Kawasaki Racing Team) made some interesting comments this week, stating he has to change his focus from winning, to bridging the gap in performance that Bautista currently holds over him. Only time will tell where his renewed focus will take him, but one thing is for sure, he’s got his hands full with the talented field that’s right behind him too. Switching to MotoGP, I feel we’re going to witness another thriller, even if it is a circuit reigning champion Marc Marquez (Repsol Honda) has dominated at his entire career. 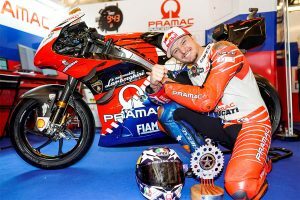 What I’m particularly eager to see is how our Australian contenders of Jack Miller (Pramac Racing) and Remy Gardner (SAG Racing Team) perform in their respective classes. 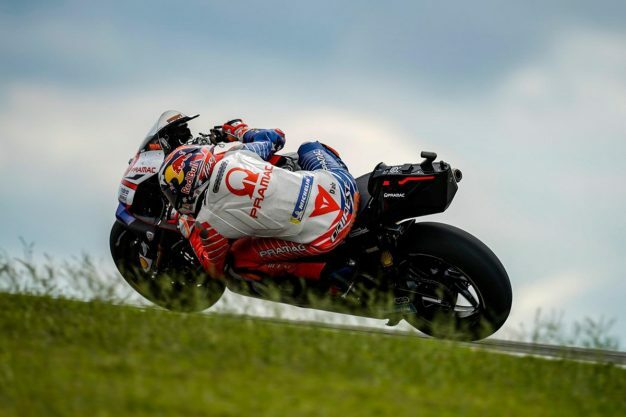 Miller displayed strong pace in Argentina, winding up just off the podium in P4. Can he go one better and land on the box? It’s going to be tough, but he definitely has it in him. Then there’s Gardner, who’s flying high with confidence after scoring a maiden grand prix podium just two weeks ago. He’s currently second in the championship standings, so it would be awesome to see him land a consistent result that keeps him the title hunt. That’s it for this week, we’ll catch you next Wednesday with another Cycleview feature! In the meantime stay tuned to CycleOnline.com.au for the latest daily content and be sure to follow us on social media via @cycleonline on Instagram, Facebook and Twitter.